The Class of 1978 Life Sciences Center was packed with hundreds of students and faculty yesterday afternoon for the Karen Wetterhahn Science Symposium, an exhibition of undergraduate research in the sciences. There were almost 250 student poster presenters this year, a notable increase from the 46 who presented in the 1992, the event’s inaugural year. 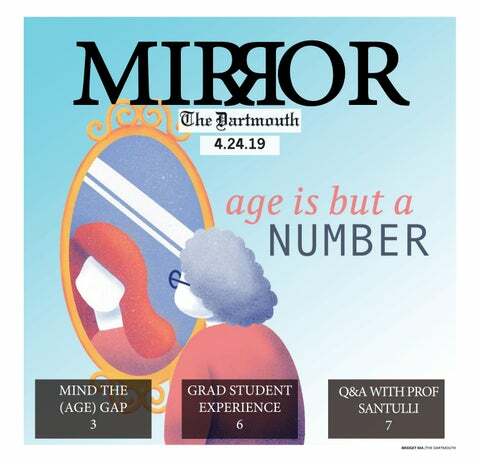 “It is the one place on campus that is really a celebration of the sciences at Dartmouth and students doing research and other academic things outside of the classroom,” undergraduate research director Margaret Funnell said. Students assembled from every science department, and 149 undergraduate posters were displayed at the symposium. The programs represented included computer science, education, engineering, environmental studies, mathematics, music and psychology, among others. The symposium — named for the late chemistry professor and Women in Science Project founder Karen Wetterhahn who died following a laboratory accident in 1997 during her work on toxic metal exposure — originally featured only WISP projects, but today hosts several varieties of undergraduate science research. Sophomore Science Scholars, James O. Freedman Presidential Scholars and senior thesis writers were all well represented at Thursday’s event. The symposium opened with an award ceremony hosted by chemistry professor Dean Wilcox and librarian of the College Jeffrey Horrell. Several awards were presented for Library Research in the Sciences and others were given for outstanding senior theses, part of the Sigma Xi Christopher Reed Competition. Students receiving the latter award were nominated for membership in Sigma Xi, a national science excellence group similar to Phi Beta Kappa. “As usual, we were truly astounded by the research we were presented by these senior honors theses,” Wilcox said. The award ceremony was followed by a lecture from Arizona State University mathematics professor Anne Gelb who will join Dartmouth’s faculty in the fall. During her remarks, Gelb discussed not only her research but her personal journey in the sciences. She came to teaching and research by way of her early days in Pennsylvania’s Rust Belt and a small town in rural Wyoming, followed by a post-college stint on an Israeli kibbutz. Gelb discussed her work in applied mathematics at length. The early part of Gelb’s talk focused on her doctoral work on the Gibbs problem, a mathematical difficulty first noted in 1898 that makes Fourier transforms of images difficult to convert back to normal images due to the sawtooth graphs that emerge when Fourier transforms are first taken. That difficulty has informed Gelb’s later work, which focuses on magnetic resonance imaging, in which clarity is key. Through her work, Gelb hopes to clarify images taken through MRIs, something that has immediate applications in the medical field. She said the ability to work with the Geisel School of Medicine was a draw in her decision to accept a position at Dartmouth. “It’s a very elegant way of using the wrong data to come up with the right solution,” she said of Fourier transforms and the Gibbs problem. Responding to an audience question, Gelb said undergraduate research is key to producing future scientists and mathematicians. “We have a lot of bright students who can solve a lot of good problems that are in the back of the book,” she said. “But we’re not doing as well at giving them problems that are more open-ended. I think it’s really important for undergraduates to think about that every step of the way. Following her talk, Gelb said in an interview that she believes programs like WISP and the Sophomore Science Scholars can make a significant difference for up-and-coming researchers. “In mathematics, I think the sooner you can make the connection between why what you learn in the classroom is actually useful for research, the more likely you are to actually think that way when you’re learning and the richer your learning is,” she said. At Dartmouth, many of those research opportunities already exist. The projects at the symposium ranged from analysis of music in neural networks to mathematical modeling of cancer symptoms to the impact of termite mounds on the grasslands of the African savannah. Fredrik Eriksson ’16 conducted research on vegetation that feeds antelope in Mozambique, a country where environmental restoration efforts have only been somewhat successful. Where termite mounds exist, however, vegetation is returning faster and more fully. Eriksson was one of two students awarded second place in the Sigma Xi Christopher Reed Award for his work, a senior thesis in biology. Ultimately, he said his work produced few answers but was highly rewarding. “My study is more about characterizing in excruciating detail what diversity looks like across those landscapes,” he said. One of the WISP interns presenting at the event was Morgan Lee ’19 who worked at the Thayer School of Engineering for a year conducting molecular analysis of circulating tumor biomarkers from liquid biopsies. She said the work could help to ultimately diagnose cancer through biomarkers in cells rather than through invasive biopsies and similar procedures, something that could revolution how the disease is treated. She applied to several WISP opportunities upon arriving to Dartmouth and hopes to continue her research, she said. Lee is currently applying to be a Sophomore Science Scholar following her year in WISP. “It’s a really great opportunity for first years and women in general to get involved in science. I’ve been really happy with my experience so far,” she said. Yixuan He ’18, a mathematics major who has worked with the same professor for two years and will continue her research in the future, presented on drug-dependent growth of a branch of lung carcinoma that she modeled through ordinary differential equations. For her research, she received one of two Library Research in the Sciences awards. “The results are really immediate, they’re really applicable,” she said. Lee said she was impressed by the volume of research at the event.